Featured Deck of the Day: “love and cotton candy dreams” by Mustafa A.
Yesterday’s Featured Deck was skulls on skulls on skulls. Today’s is art on art on art. Toronto artist Mustafa A. created “love and cotton candy dreams”, a digital painting of English performance artist FKA Twigs that he uploaded to BoardPusher.com for his own custom skateboard. You can find more of Mustafa’s artwork by following him on Instagram @msta.x. 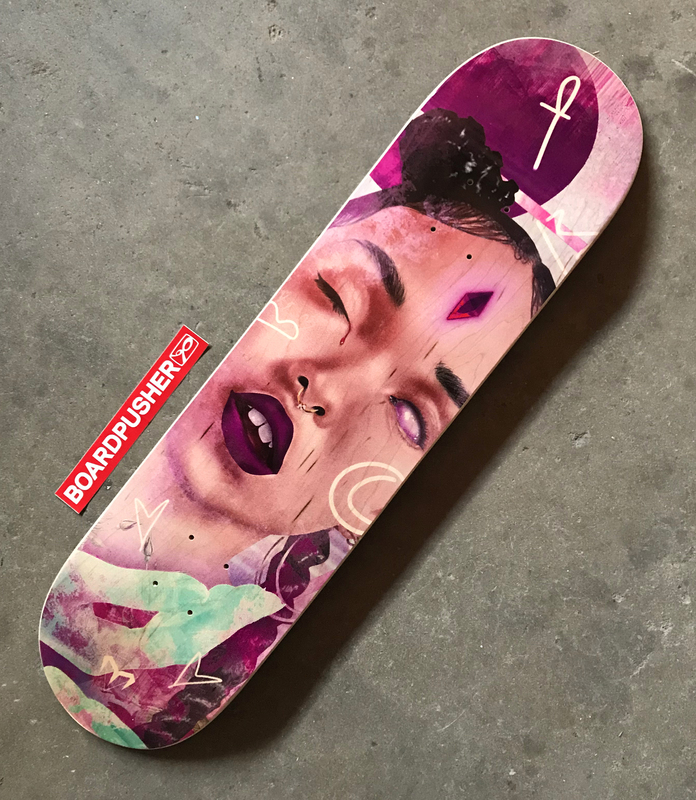 Get your art on a 100% Canadian Maple pro-quality skateboard deck at BoardPusher.com.